Guitar strings need to tuned intermittently to get the perfect sound. Nowadays you don't need a costly device to tune your guitar when guitar tuner apps are available. Download from Google Play Store or App Store and identify sounds and notes to tune your guitar acoustic or electric. These are some of the free options available for you. 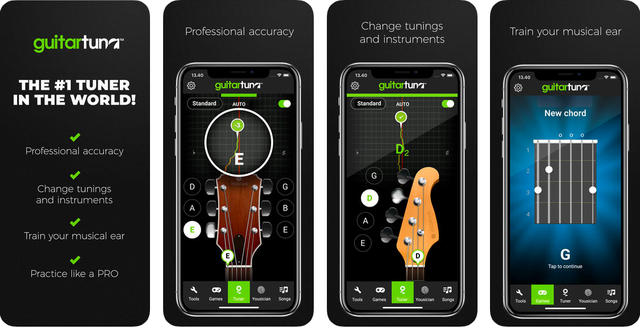 Available on iOS and Android, GuitarTuna works easily to tune both acoustic and electric guitars. You only play your guitar while the application shows you the corresponding tuning. This options is easy to use and accurate for tune guitars, bass or an ukulele. Fender Tune detects low-frequency pitches and uses the smartphone mic to detect the guitar strings pitch and guides you to tune them. 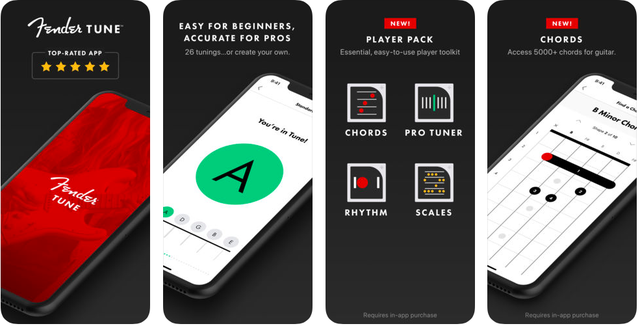 Pitched has been designed by musicians for both beginners and professionals. It helps you quickly and easily fine-tune your instrument using the microphone of your Android device.